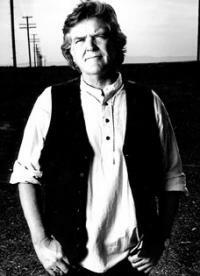 16. august er det klart for et nytt konsertalbum fra Texas singer/ songwriter Guy Clark. Clark fyller 70 senere i år og er i dag en elder statesman i låtskriverfaget. Clark slapp også liveabumet »Keepers« i 1997. Her er plateselskapets info om den nye plata; »Songs and Stories« (Dualtone). At the tail end of his performance of “L.A. Freeway,” master songwriter Guy Clark pauses to share a memory from that time decades ago, about a landlord and a grapefruit tree that might have added to the final push to say, “Adios to all this concrete. Gonna get me some dirt road back street.” It’s the kind of story you want to hear from a legend like Clark and on the live album Songs And Stories out August 16 on Music Group, not only are there the beloved songs, “The Randall Knife,” “The Cape,” “Homegrown Tomatoes,” and “Stuff That Works,” but also the essential asides and insights that can only be experienced from a seat in the audience. The album was recorded at the Belcourt Theatre in Nashville, Clark warmly surrounded by his musical family -- his longtime sidekick and co-writer Verlon Thompson, along with Shawn Camp, Bryn Davies and Kenny Malone. It’s a comfortable atmosphere that feels like a peek into a 3am guitar pull at The Driskill Hotel. Releasing just months prior to his 70th birthday, Songs and Stories further evidence why Clark is a member of The Songwriters Hall of Fame, with craftsmanship that young writers study and seasoned writers admire. Clark has continued to reap awards with a recent Lifetime Achievement Award from the Americana Association, and Grammy nominations for his last two studio albums with Dualtone, Somedays The Song Writes You and Workbench Songs.